Please note goods purchased online at Surfanic.com.au cannot be returned at any other Surfanic retailer. 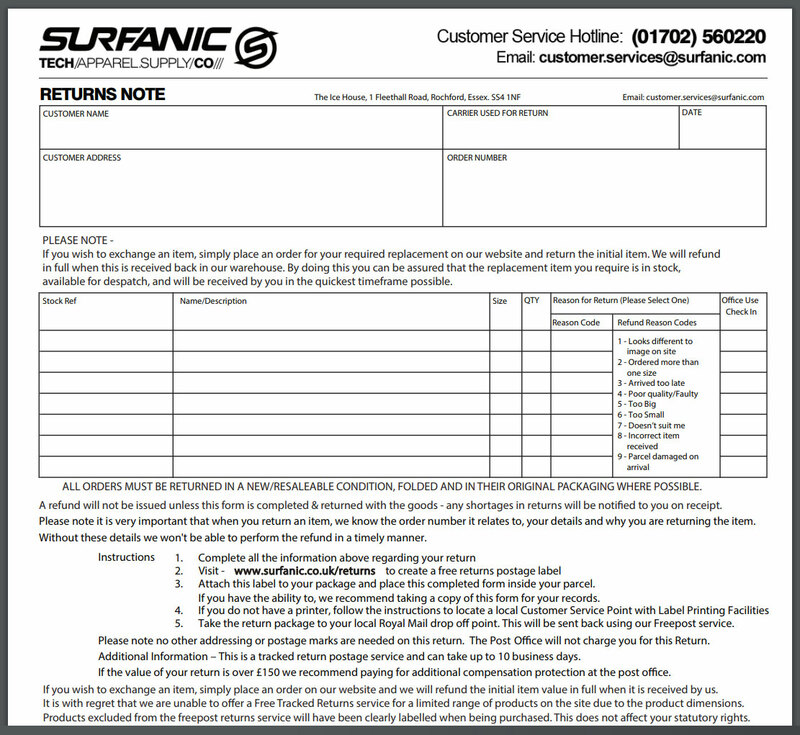 Return the parcel to Surfanic using your preference of postage service. We recommend a tracked service as any parcels not received will mean we cannot refund you. PLEASE NOTE - All Returns are for Refunds. If you wish to exchange an item, simply place an order for your required replacement on our website and return the initial item. We will refund in full when this is received back in our warehouse. By doing this you can be assured that the replacement item you require is in stock, available for despatch, and will be received by you in the quickest time frame possible.